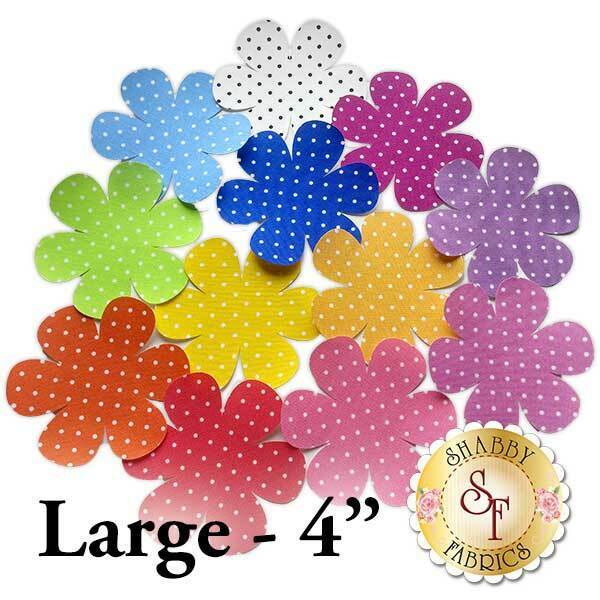 Laser-Cut Pindot Daisies - 4 Sizes Available! 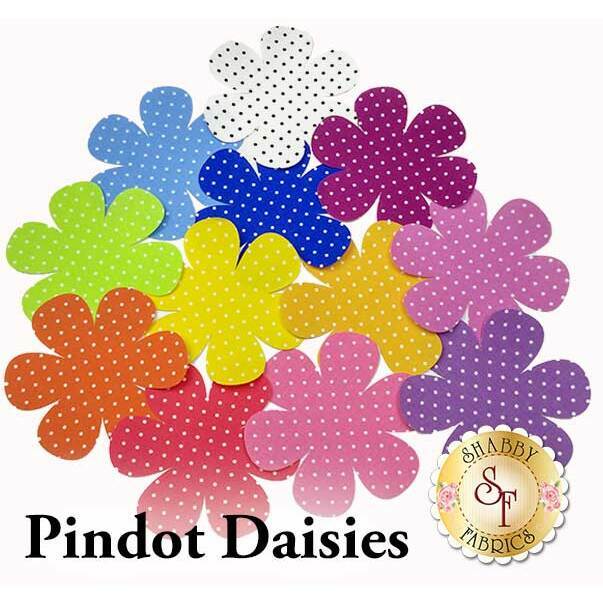 Start creating cute and simple projects with these darling laser-cut Pindot Daisies! 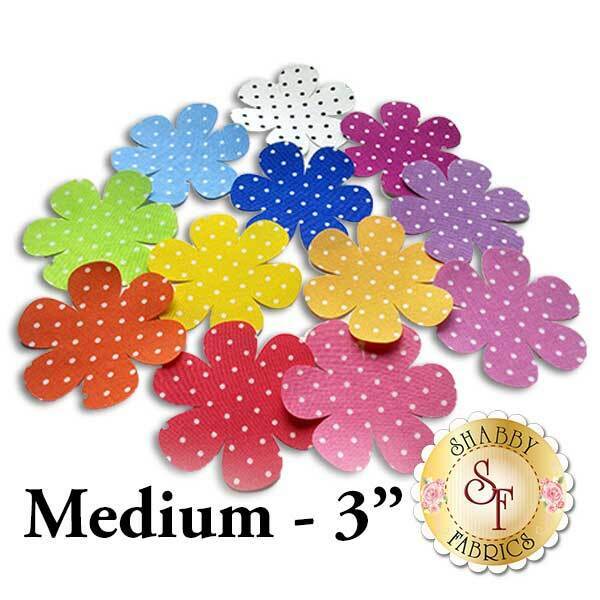 Each daisy has been pre-cut and pre-fused for quick and easy applique fun. 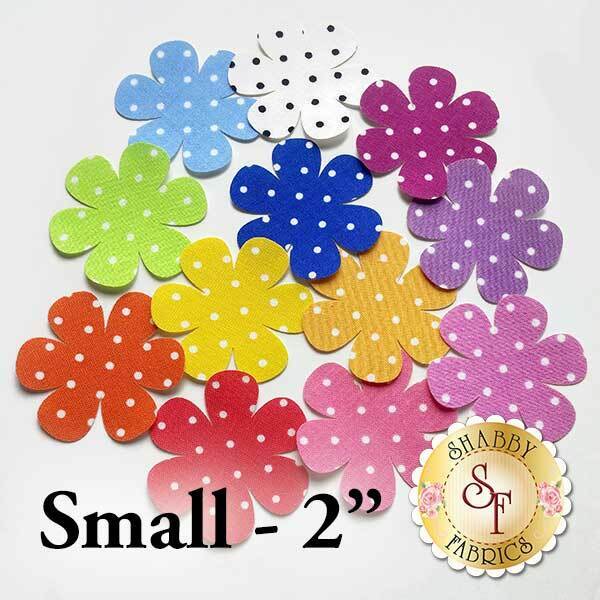 These laser shapes are perfect for beginners and quilters of all skill levels. Each daisy is a different color. We have 4 sizes available, listed below. Fabrics may vary from the image, but have been carefully chosen to replicate the originals shown. 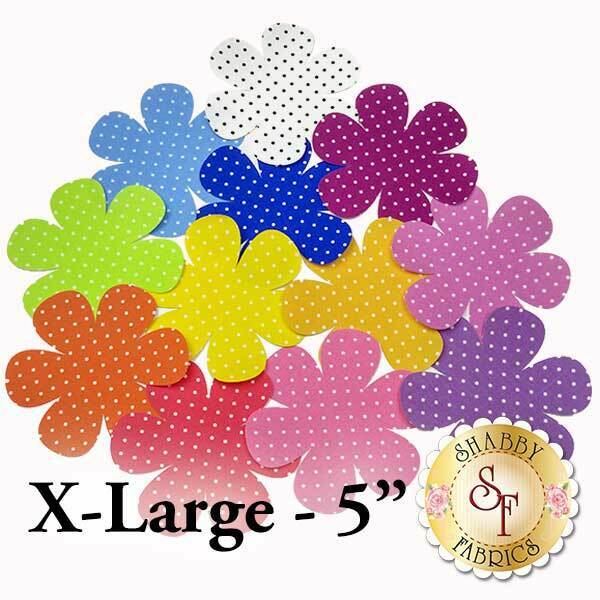 Mix and match your shapes and sizes by purchasing other Laser Shape sets! See everything we have available here.